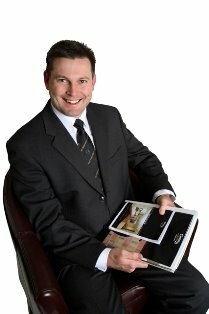 The Real Estate Expert: My Favourite Day of the Year! It was nearly a week ago now, but the memory of my favourite day of the year is still fresh in my mind. Whilst it is absolutely true to say that I love a good family get together, or a relaxing holiday, or an action packed day at work, there’s still one day of every year that tops them all for me – the first day of the first cricket test match of the summer! Many may recoil in horror at the thought of sitting in the same spot for about 8 hours watching a sporting contest that probably distills to a mere 27 minutes of actual “action” (assuming 90, 6 ball overs with each ball lasting an average of 3 seconds), but for me, the colour, the atmosphere, the expectation and the contentment cannot be rivaled. Let me describe my perfect day to try and explain my pleasure. My friend Pete is a member of the Gabba Trust, and as such has a ticket and guest pass which enables “free” entry to the game and seating in the member’s area almost directly behind the stumps at the Vulture Street end of the ground – we sit within metres of the television cameras that aim straight down the pitch and offer viewers at home the joys of the “snick-o-meter” and “hot spots”! Now Pete is not your average friend, he’s the kind of guy you’d want around if you were stranded on a desert island – honest, genuine, intelligent, humorous …. a lot like me really! The great thing about Pete (apart from the free ticket I manage to “score” each year! ), though, is that we are comfortable in each other’s company, so we don’t have to make small talk just for the sake of it. We can sit in contented, companionable silence for hours. In fact, we’ve both been known to fall asleep occasionally, wake with a sheepish grin and then continue to enjoy the “action” out in the middle with the banter of the ABC radio commentary team wired into the off ear so we can still communicate with each other should the desire arise. Last Thursday had nothing like the hype, energy and anticipation as last year’s Ash’s test, and was punctuated by periods of rain delays and the like, but that just allowed more time to indulge in those rare joys like reading the paper from start to finish, completing a sudoku or listening to Kerry O’Keefe and the ABC commentary team rambling on for hours about nothing in particular. My “Favourite Day of the Year” was capped off the following morning when one of my team presented me with an autographed copy of Kerry O’Keefe’s latest offering “Turn, turn, turn … please!” – the absolute icing on the cake for another “Favourite Day of the Year”!